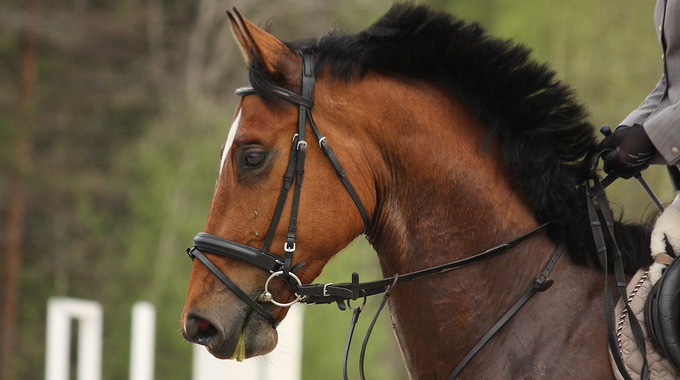 What is the correct way to mount a horse, especially if it is asked as a medal test? Check your girth. Gather the reins and your stick in the left hand. The bight of the reins should be on the left as well. Place your foot in the iron with your toe on the girth. With your left hand on the mane, grab the back of the saddle (cantle) with your right hand and pull yourself up. 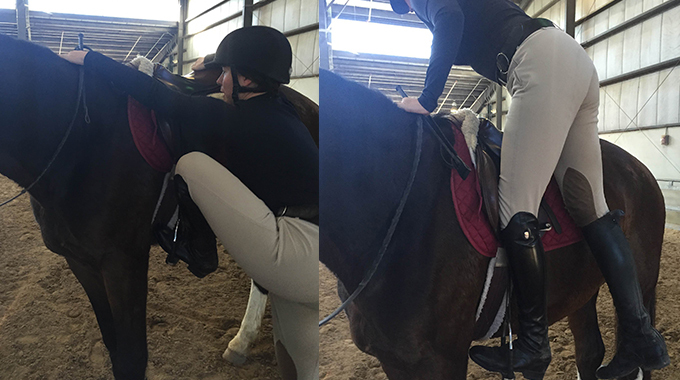 Ideally you should find the right stirrup before you sink lightly into the saddle. Make sure your horse stands still. Adjust your reins, shift your stick & bight of the reins to the off side (right). To dismount, put the reins and stick in left hand. Shift the bight of reins to near side (left). 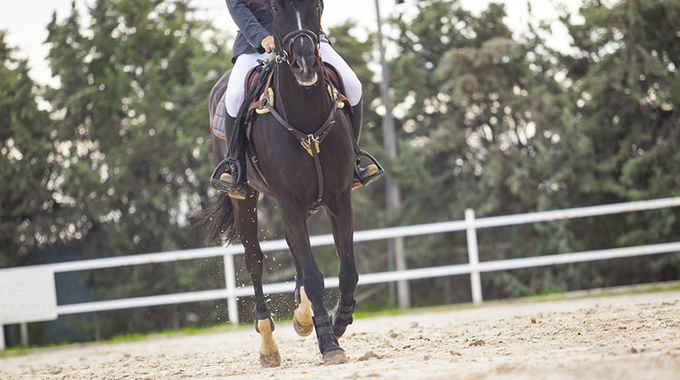 Either take both feet out of stirrups (safer) and dismount on near side, or take right foot out, step over to left side, then remove foot from the left stirrup and slide down. It is acceptable to lengthen your stirrup, if necessary, to make it easier to mount. Then you would readjust the stirrup leather once mounted. 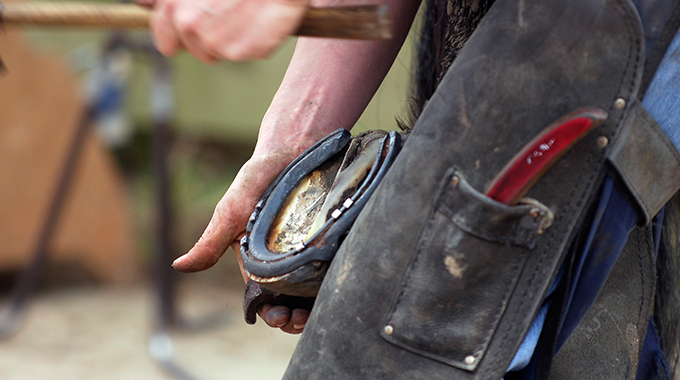 Farrier, Blair Cooper, discusses common causes for quarter cracks in a horse's hoof and suggestions to help prevent them.